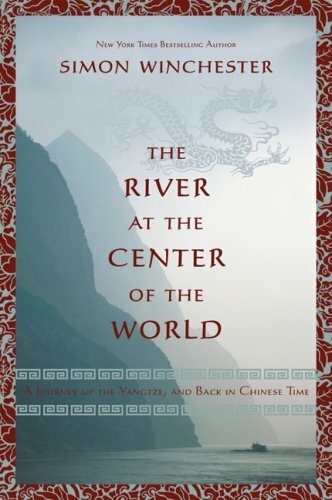 British born author Simon Winchester lived in Hong Kong before setting off on a journey up the Chang Jiang or Yangtze River as it is most often referred to in the West. 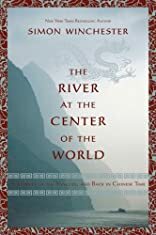 In The River at the Center of the World: A Journey Up the Yangtze and Back in Chinese Time, he chronicles his adventures across China along the 3,964-mile River. Employing nearly every mode of transportation--including boat, train, jeep and shoe leather--Winchester recalls his passionate exploration of the countryside, while providing important and engaging historical information. His recollections of the Chinese people are often less complimentary, as he exudes an air of disgust at the country's apparent disregard for pollution, its awkward modern architecture and decaying historical monuments.